the unfortunate Mary Queen of Scots wore Guernsey (knitted) hose at her execution. The Guernsey knitting industry literally did start out as a ‘cottage industry’. Both men and women would sit by their hearths or furze ovens of an evening in their Guernsey granite cottages continuously knitting various garments for export. The knitting industry dates back to the early 16th century, when licences were granted to import wool from England. In those early days, the Island’s exports were stockings and at the peak of this trade it is believed that a staggering 10,000 pairs left the Island each week. Both Mary and Queen Elizabeth (1558 to 1603) owned articles of Guernsey knitwear. Even the unfortunate Mary Queen of Scots wore Guernsey hose at her execution. 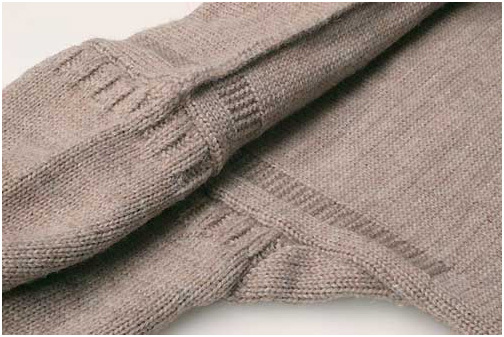 The Guernsey sweater (often abbreviated to just ‘a Guernsey’) came into being as a garment for local fishermen, some of whom ventured as far as the new world, who required a warm, hard wearing, yet comfortable item of clothing that would resist the sea spray. To that end Guernseys were made, and still are made, from a specially oil coated worsted wool which makes them not only warm, but waterproof. The worsted wool is twisted to make it stronger than regular wool, which helps to give the jumper its sturdy character. If this was all there was to ‘a Guernsey’ then it wouldn’t be so special. However it is its simple elegance and distinct weave that gives it it’s character. 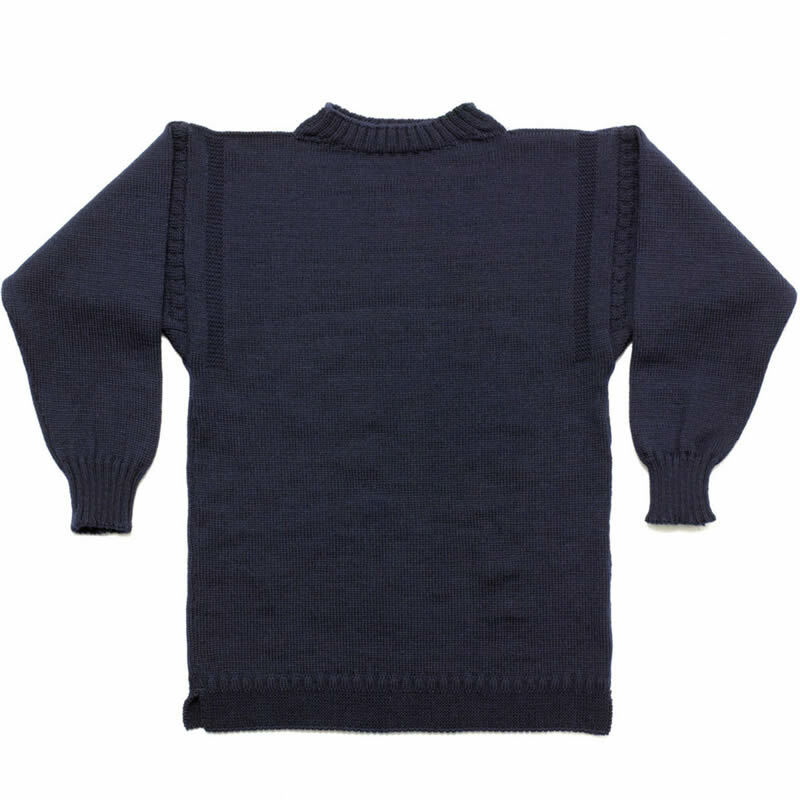 Guernseys are traditionally navy blue and are made to the same pattern with a square neck, making them reversible, and patterning at the shoulders which in the past were often specific to a parish or family. One reason for this was to help identify the bodies of fisherman lost at sea when they were washed ashore. In addition, the rib at the top of the sleeve represents a sailing ship’s rope ladder, the raised shoulder seam a rope and the garter stitch panel, waves breaking on the shore. And so was born the now famous oiled wool Guernsey, renowned for the warmth of its tight knit and its rain resistant qualities. The Guernsey has seen active service in the British Armed services for over two centuries now. During the time of the Napoleonic Wars, Admiral Lord Nelson recommended that the Guernsey be worn by the Royal Navy and it was at this time that the Guernsey, which until then had been knitted in the unscoured natural wool, was dyed Navy Blue. It is said that guernseys were worn at the Battle of Trafalgar, (although these were probably made from woollen cloth, rather than knitted. 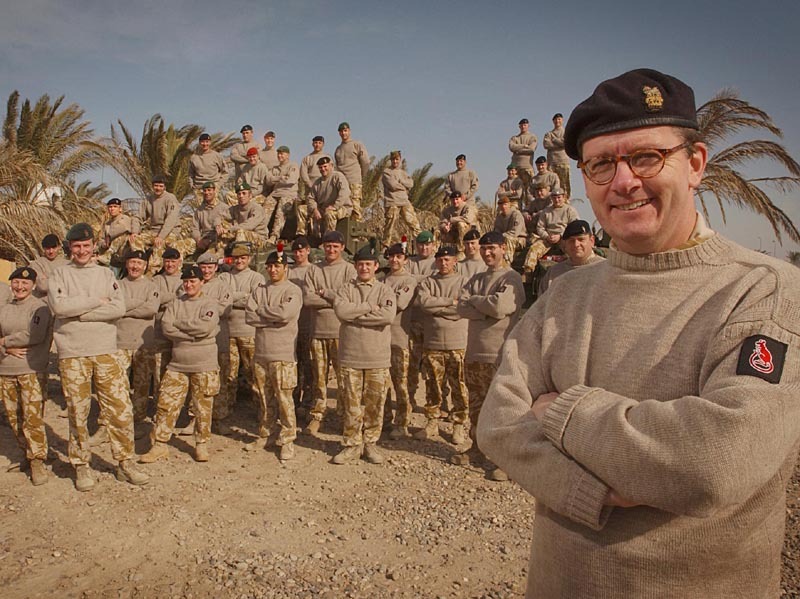 The association of the guernsey with the British Armed Forces has continued on well into the 21st century. 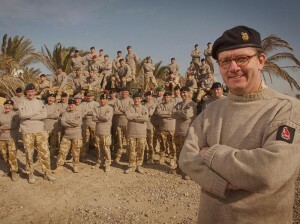 In 2006, the British 7th Armoured Division ordered three hundred Guernseys from a local company to be sent out to Iraq. Each jumper was hand-finished in a neutral colour and had the Desert Rat insignia sewn onto the left hand sleeve. Orders for variants of the guernsey have also come from the Intelligence Corps, the Mercian Regiment, the Tank Regiment and Gurkha Logistics where they form part of officer uniforms. In Australia, the word “guernsey” is used to describe the shirt worn by Australian rules football players, although the word “jumper” is also commonly used. Until the mid 1950s the shirt usually had sleeves but now it is normally sleeveless. The top worn by National Rugby League and Australian Rugby Union players is more commonly called a jersey,though it is still frequently called a guernsey, often interchangeably. 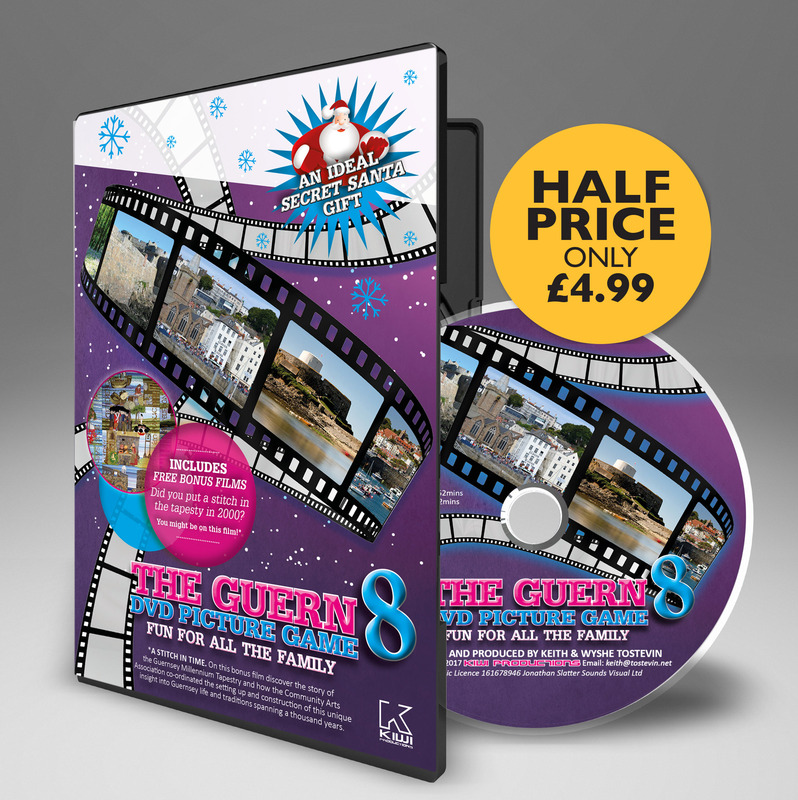 As an extension of this tradition, the expression “to get a guernsey” is a metaphor for being selected for something or to gain recognition for an achievement.